Excursions from the House of Life. More information you find at the reception. Excursion to a Coptic Monastery in Nag Hammadi. 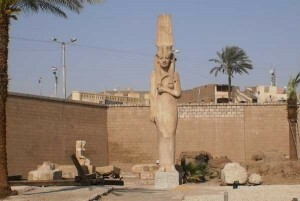 In Sohag visit the Impressive statue of MeritAmun, one of the wives of Ramses II. Excursion to the Hathor Temple in Dendera, where you will see the famous zodiac with the astrological signs. Combine the White Monastery in Sohag and a visit to the Statue of Merit Amun with a fish meal in a local restaurant. 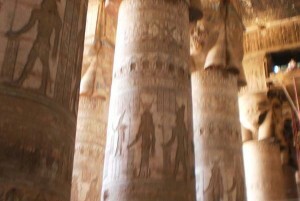 Daytour to the Hathor Temple and the Isis temple in Dendera. At our reception you find plenty of information about excursions and trips around Abydos. You can book at the reception.